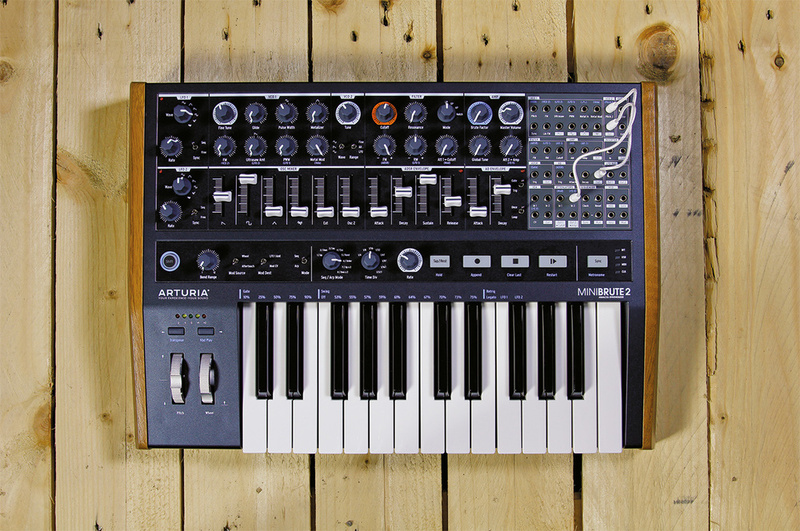 Arturia have today announced a brand new analogue synthesizer, the MiniBrute 2. Available from March, the new 25-key monosynth builds on its predecessor with a semi-modular architecture, making integration with the world of modular easier than ever. It also adds FM capability, a second oscillator (as opposed to one plus sub) and puts the mod and pitch wheels in a more convenient place, next to rather than above the keys. While the synth retains many of the key features of its predecessor, such as mixable oscillators, the instantly recognisable Steiner-Parker filter, and 'Brute Factor' distortion it also adds an aftertouch-enabled keybed like the one found in the flagship MatrixBrute synth. The MiniBrute 2 also features Arturia Link, a new innovation that the company claim will "help unify and democratize your creative environment". Arturia are playing their cards close to their chests right now, but another announcement is expected tomorrow. What's particularly exciting is the price, which has been set at £575. In the meantime, check out the introduction video for the MiniBrute 2 below and read our exclusive review in the February issue of SOS, available to subscribers and only £1$1.49.